We try our best to reduce our footprint on the city and by extension on the environment. Already, many of the products we use and retail are shipped internationally, so it’s already a significant carbon footprint that we want to offset by other means. That's why we produce our own water through water treatment process on premises and bottle our own still and sparkling water. We run quarterly water analysis through independent labs to ensure the quality and reliability of what we have been drinking in the building for over three year. 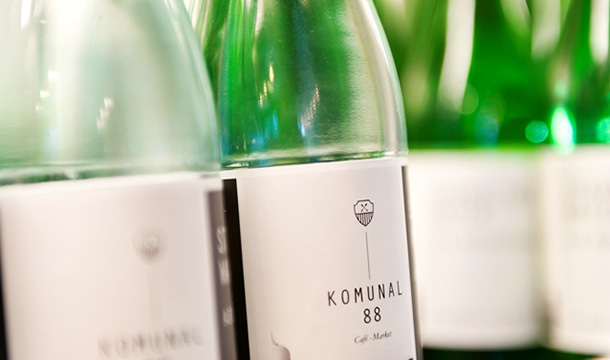 Our belief is that water should not be treated as a luxury item, shipped across the world and sold to you at exorbitant prices when we can offer you a quality product in glass bottles to enjoy here or take back home.